Susli heads impact investing at YCAB Ventures, an Indonesia-focused early stage investment arm of YCAB Group, which is dedicated to promoting youth development through education and mission-driven financing in Indonesia and Southeast Asia. Her investment experience spans mid-market private equity at Quvat Capital to LeapFrog Investments, a global impact fund with over $1 billion in committed capital. Susli began her career at Oliver Wyman as a consultant in the Financial Services practice, based in New York and Singapore. 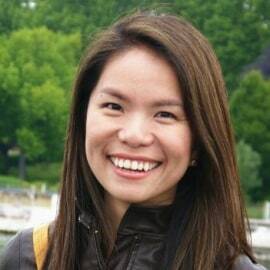 She held the first Asia-Pacific Chief of Staff role for Oliver Wyman Consulting from 2009 to 2011. Since then, Susli has advised numerous public and private entities in Asia including the ADB, World Bank, IFC, leading commercial banks and asset managers on financial innovation. Susli holds a Bachelor’s Degree in Economics and Chinese from Yale, an MBA from Wharton, and a Master in International Development from Johns Hopkins School of Advanced International Studies.